Are you looking for the syllabus and exam pattern for your particular Sarkari exam? 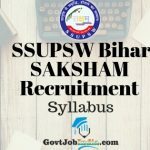 Let it be any Govt job exam syllabus, IBPS syllabus or SSC CGL Exam Syllabus or RRB Syllabus even the UPSC exam syllabus, all have their characteristics which make them different from each of the other. Most of the Sarkari Naukri syllabus covers a wide range of topics such as the field of specialization and predominantly general knowledge questions. So if you are looking to pass the latest Sarkari exam, then start preparing by looking at the detailed information given below about each of the main govt job exams. Please note that we also give the detailed information about the syllabus of all the competitive exams which are coming up. 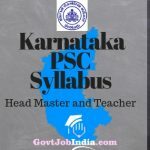 So to know more about the latest govt jobs and their syllabus, stay tuned to our site by subscribing to our website (enter your email id now) or by bookmarking this page to your favorite browser. Are you appearing for the UP Assistant Teacher Exam? Then we are glad to present to you the UP Assistant Teacher Syllabus 2018. the UP Asst. 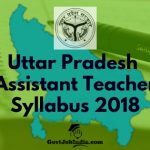 teacher Syllabus contains all the details regarding the important topics which will be asked for the UP Assistant Teacher exam 2019. Given below is the Kendriya Vidyalaya recruitment 2018 Syllabus and exam pattern. We have also given the KVS Primary Music Teacher syllabus and exam pattern, so aspiring candidates can check that out as well. 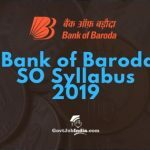 For all the candidates who are appearing for the BOB SO Exam, we would like to present to you the Bank of Baroda Specialist Officer Syllabus 2018. Candidates who are preparing to appear for the exam are urged to check out detailed syllabus we have provided here. 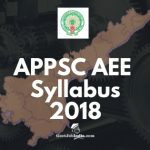 APPSC is set to conduct their APPSC AEE Main Exam on 1st and 2nd April 2019. 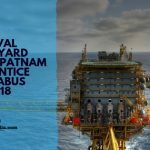 Candidates who are applying for these posts, therefore, have ample time to prepare for their Assistant Executive exam provided they have the right Study material. 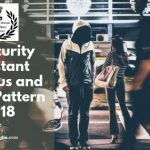 IB Security Assistant Exam Syllabus 2018: The IB Security Assistant Exam Syllabus and Exam Pattern will be most useful for all the candidates who are appearing for their IB Security Assistant/Executive exam 2018. 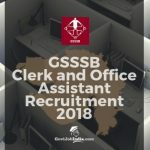 GSSSB Clerk and Office Assistant Exam Syllabus: The GSSSB clerk and office assistant syllabus and exam pattern will be most useful to candidates who are applying for the GSSSB exam 2018.